FS2004 Aryus Works Cessna Citation Excel. 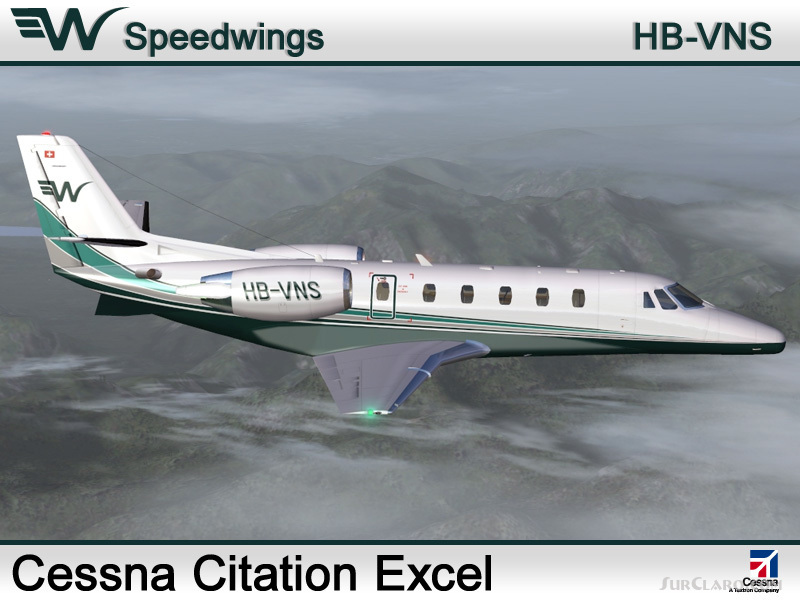 Speed Wings Air Charter, registration HB-VNS. 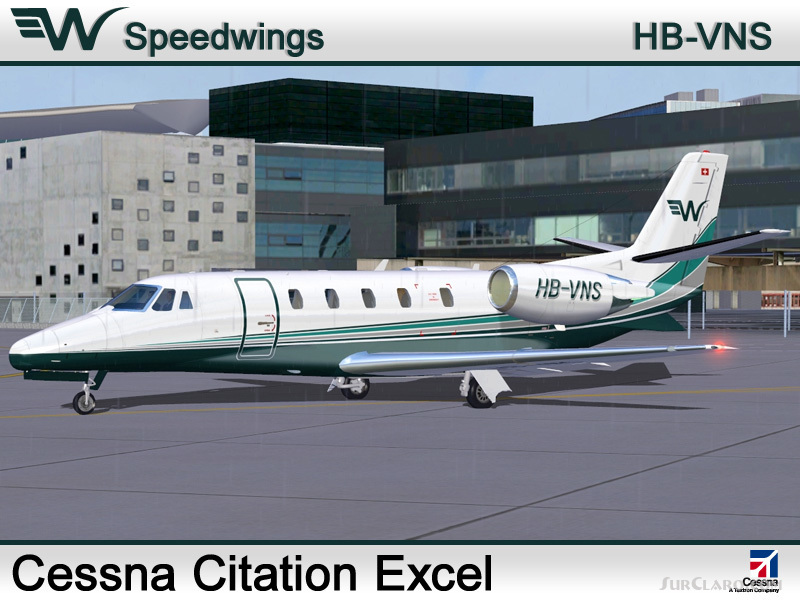 I am proud to present this detailed repaint of the Aryus Works freeware model of the Cessna Citation Excel, registration HB-VNS, of Speedwings S. A. Speedwings is a business jet charter airline based in Geneva Switzerland. 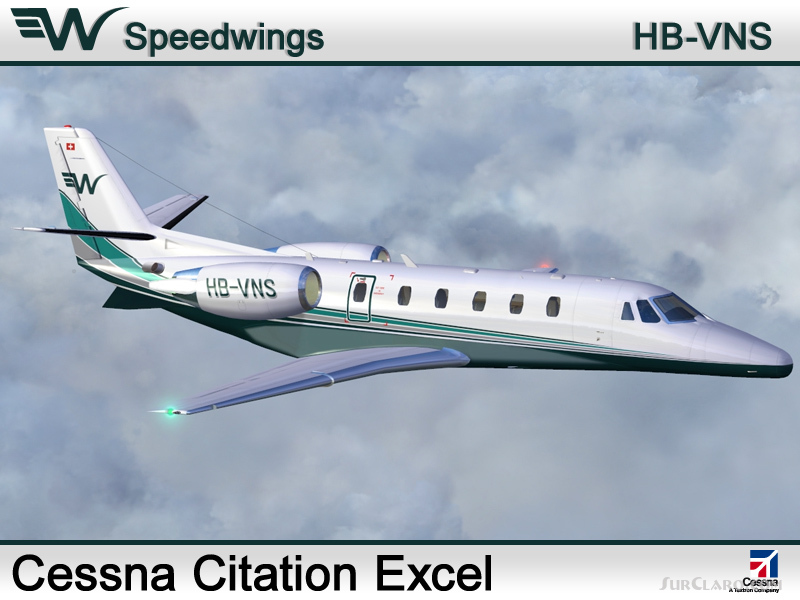 Speedwings fleet consists of four aircraft; this Cessna Citation Excel, a Citation 5 Ultra, and 2 CitationJet CJ2s. As always, I paid attention to painting and creating as real life a repaint as possible on this work. The textures in this repaint are 32-bit. Repaint by Jeffrey S. Bryner, Cessna Citation Excel model by Aryus Works. Full install package. Uses default Lear45 panel and sounds. Please see Install. txt for installation details. FS2004 Aryus Works Cessna Citation Excel. Rating: 9.00 of 10 over a total of 5 reviews. really cool paint scheme, i like this model of the citation. recently flew on one, and they are very nice jets. Nice plane, enjoy flying routes with CitationShares. Only problem is lighting. It appears once I m airborne, the cabin lights go off. Also have difficulty landing taxi at night.